Those Kindle Estimates Keep Going Up. 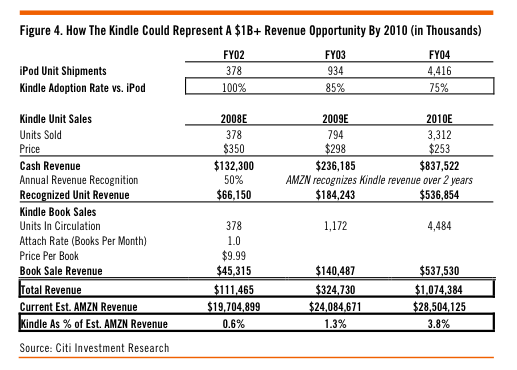 Ten days ago TechCrunch reported that Amazon has shipped 240,000 Kindles. At the time, I noted that Citi analyst Mark Mahaney’s estimates looked a little low by comparison. 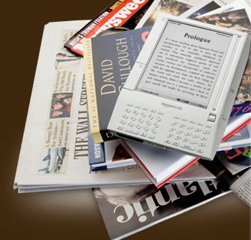 Those estimates, published in May, put sales of Kindles at 189,000 this year, 467,000 in 2009, and 2.2 million in 2010. “It might be time for him to revise those numbers upward,” I suggested. This morning, he took me up on that suggestion, doubling his Kindle sales estimates to 378,000 for this year, 934,000 next year, and 4.4 million in 2010. At that point it would be a $1 billion business for Amazon. (See his model below). As extra color, we believe that the TechCrunch datapoint refers to the number of Kindles that have been shipped to Amazon from suppliers and not unit sales by Amazon. There is always the possibility of Amazon not being able to convert shipments into sales and simply “stuffing the channel. Since he raises the point in his report, I can confirm that he is correct: the 240,000 figure is the number of Kindles shipped. In the post itself, I refer to shipped units, but I did take the liberty in the title to refer to the number of Kindles that “Amazon has sold.” As it turns out, those two numbers aren’t that far apart. Inventory has been so tight on the Kindle that it’s sold out at times, and it remains the No. 1 bestseller in the Electronics category. One last little update that I didn’t include in my original post. The Kindle was designed in Cupertino, California by a subsidiary of Amazon called Lab126 filled with former engineers from Apple and PalmOne. This has been noted before, but I had never seen when Lab126 (and thus the Kindle project) was started. A search for Lab126 on LinkedIn brings up a bunch of employees, including president Gregg Zehr (who previously did stints as a VP of engineering at PalmOne, VA Linux, and Apple). 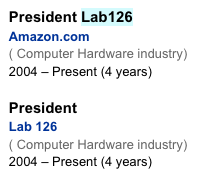 According to his profile, Lab126 started way back in 2004, implying that the Kindle was three years in the making before it launched. That’s not long considering the hodge-podge of skills he had to assemble on his team before he could even get started (mobile device design, user interface expertise, wireless engineering).